Viewpoints 9 is proud to announce a special exhibition of contemporary fiber art selected from each of our original 2012 and 2013 challenges. 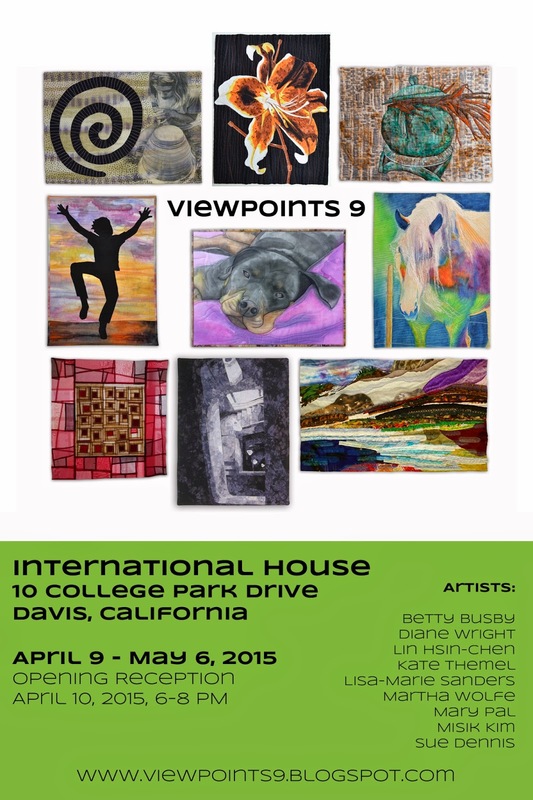 The exhibit will be held at the International House in Davis, California, April 9 - May 6, 2015. Viewpoints 9 members, Diane Wright and Martha Wolfe, invite you to join them for the Opening Reception on April 10, 2015 from 6 - 8PM.